Are you a Unilag Student? Can you spit bars and are you ready to show your skills? 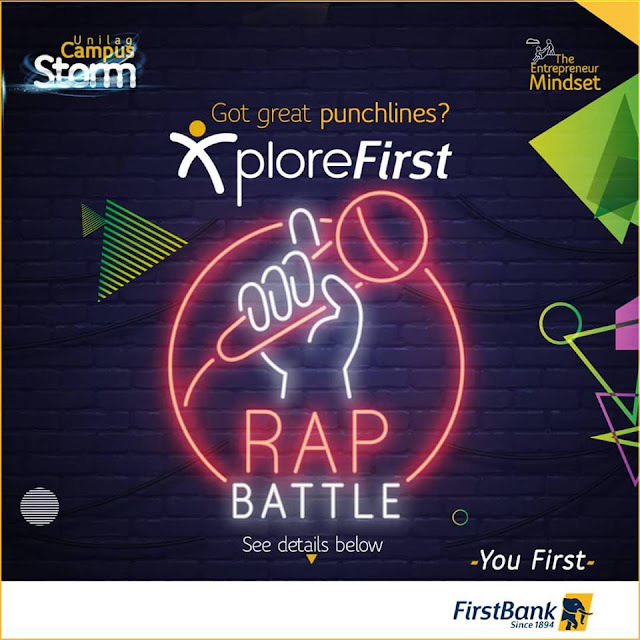 Enter the XploreFirst Rap Challenge now and stand a chance to win cash prizes and cool branded gift items. (3) Top 5 videos with the highest likes will win cool gift items and a chance to battle it out for the top spot at the #UnilagCampusStorm event and win cool cash too. Entries Close at 3pm on Thursday 3rd August (Day of the Storm).